Though I haven’t had a ton of time to blog about it this Vegan MoFo, I have been making a lot of yummy Disney themed foods. So though we’re close to the end, there is still more to come! Snow White has always been one of those films that creeped me out a bit. The story is just strange (heck, she’s living in the wild with seven men), with the poisoned apple, the prince kissing a corpse he finds in the woods, etc. Plus nothing compares to the ride in Disney World, which is mostly dark and crap-your-pants scary as a kid. Anyway, it’s still considered a Disney classic, so I felt compelled to cook from it. 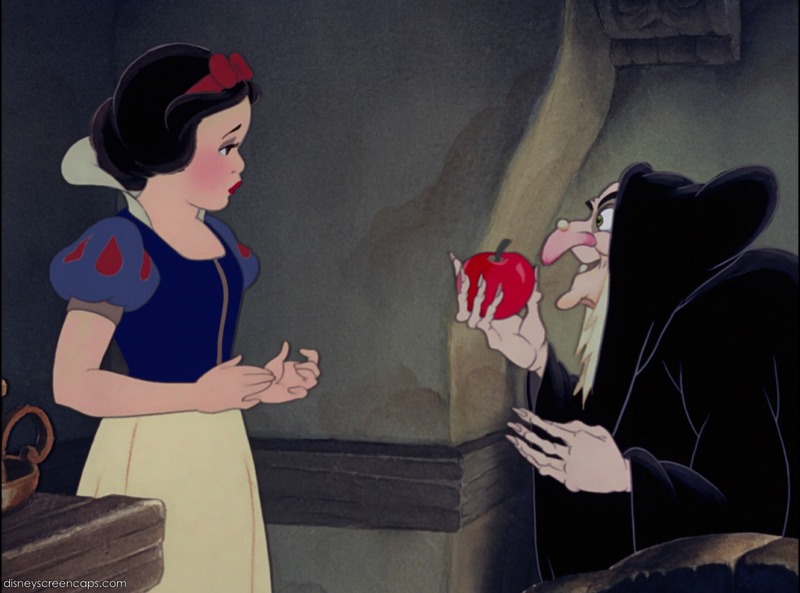 I’ve never been a huge raw apple fan (except for the granny smith kind) so when I was young I always wondered why Snow White was tempted by the poisoned apple. So I decided to make something I would be tempted to eat, even when given by a weird old witch: baked apples with caramel sauce. 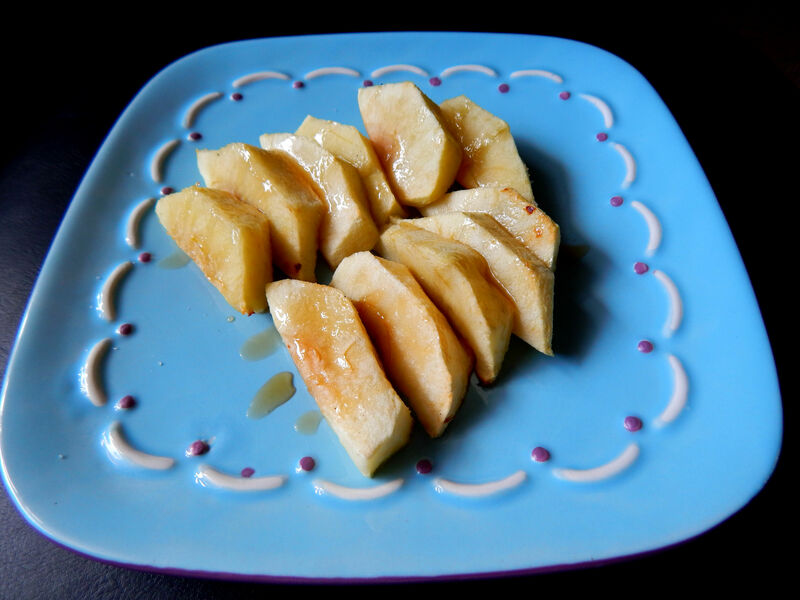 I just sliced up a few apples and baked them until tender. Then I made some caramel sauce, with a dash of imitation butter extract for a butterscotch flavor, and drizzled it over. Super delicious.